Coming at you today is producer Flex Lennon’s 2018 debut “10 Deep” featuring Femdot. An interesting pair, together with Flex’s soothing array of kicks and synths, Femdot unleashes a whirlwind of rhymes. Flex Lennon, formerly known as Born Ready Productions, is known for his cohesion of trap and soulful hip hop. He started making real headway with his production skills via Saba’s standout singles “401k” and “Gurlfran” back in 2015. Finding placements with a handful of other artist’s such as his collaborations with IshDARR’s “Down”, and GYYPS’ “Sorry”; Flex has continued to display why he’s a sonic force to be reckoned with. By 2016 Flex found his hand in another masterpiece, Saba’s Bucket List, project alongside producer/DJ SqueakPIVOT for “The Billy Williams Story”. We know Flex is nowhere near done making waves in Chicago, especially in a city he loves so much. Flex grew up on the northwest side near Chicago’s Jefferson Park neighborhood. He often played sports growing up and through his high school career. After graduating high school, Flex became obsessed with learning production and began pursuing music full time at 20 years old. 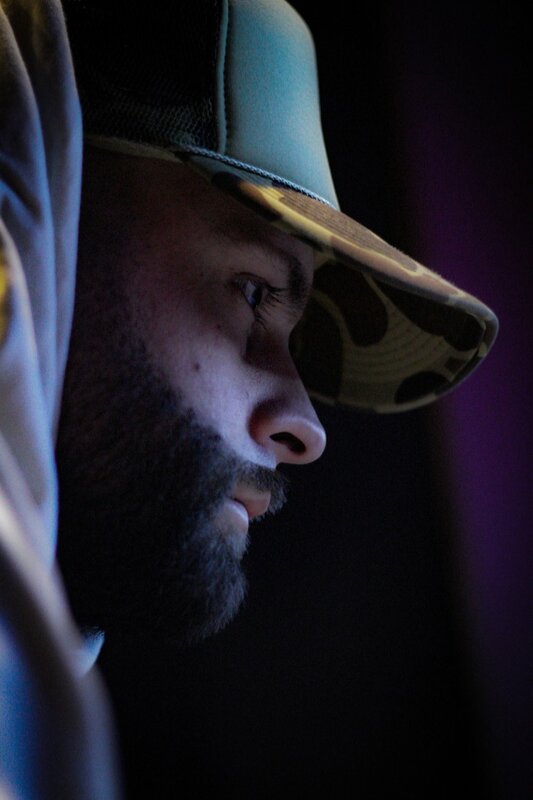 Being a Chicago native, Flex believes the city has been a large part of his success, “Chicago has played a major role in my development as a producer. The city has so many different types of Hip Hop that it really allows me to grow my own individual sound.” More than anything Flex aspires to bring quality music to Chicago. Flex is only concerned with making the best music he can, honing his craft everyday.Get in touch with Flex Lennon with our exclusive Q&A below. What are some events that inspired this particular song? I had been a fan of Femdot for a while and had always wanted to work with him. We have a few mutual friends so I ended up reaching out and we set up the session. I played 4-5 beats and we both caught the energy when I played the original beat. He ended up coming back the following week and we recorded the song. As a producer, what are some difficulties you’ve faced building your brand? Some of the difficulties I've found building my brand would have to be finding that balance of creating and networking. You could be the best producer in the world but it means nothing if you don't build and maintain the right relationships. Pick 2 or 3 Chicago artists you hope to work with in the future. What aspects of their work attracts you the most? I would really like to work with Valee. I just really enjoy his music and feel like he's creating his own wave in the city. I'd also like to work with Chance the Rapper, he's obviously done so much for the city and for music in general. Sunny Woodz (Ft. Chimeka, Twista, & Kembe x) • "Paradise"